Joni the chimp was 100% CGI, so it was important to get all of her gestures, mannerisms and appearance to mimic that of a real chimp. 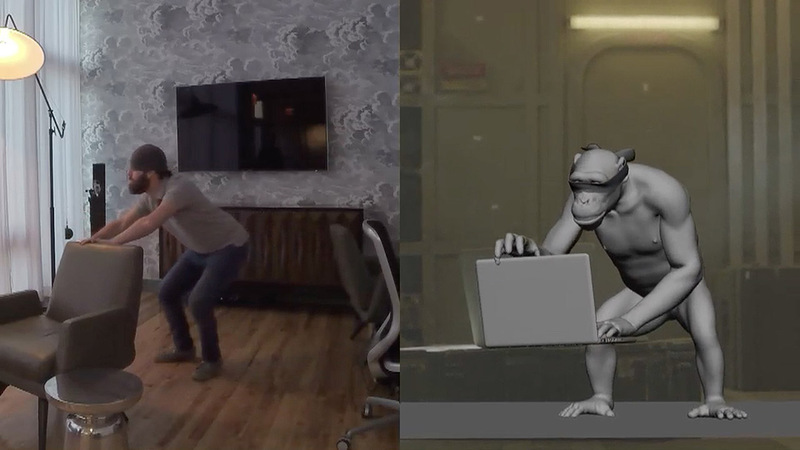 An actor was cast to act out a few shots for movement reference. 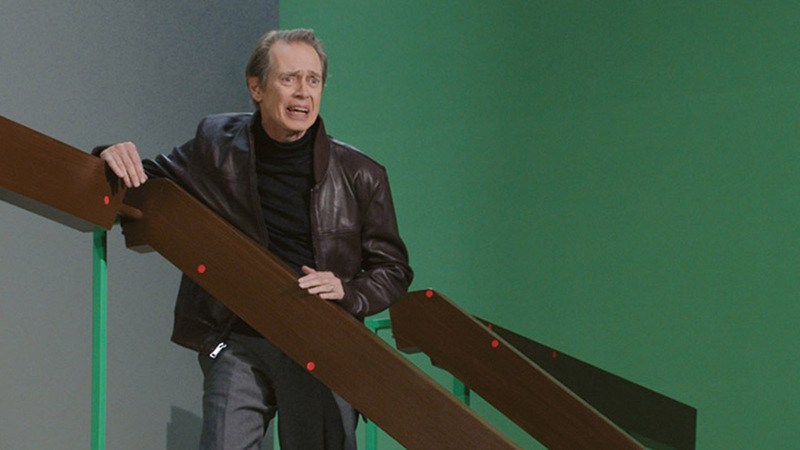 The Mill shoot supervisor Kevin Ives flew to the land down under to ensure the plane interior, landscapes and sky reference shot in Australia would work to provide effective movement and lighting references for the CG artists. These references were key, as Joni's fur movement and lighting would change dramatically throughout the spot. 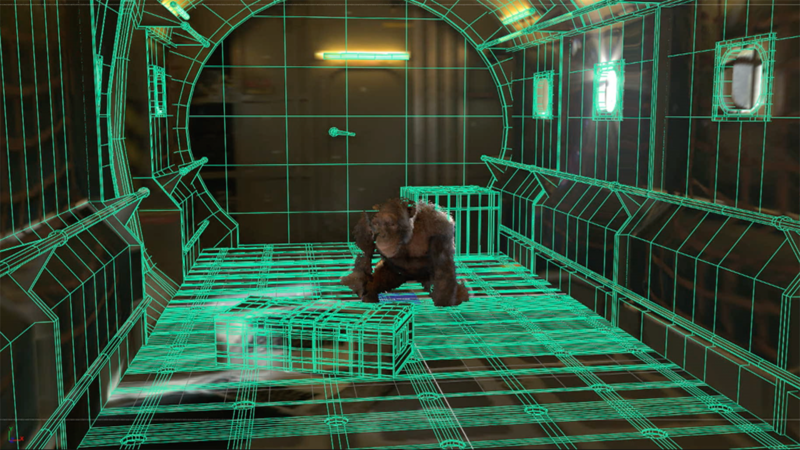 Once the plates were shot, the CG team was able to use them to map out a 3D background for Joni to move about in. The key to making Joni look realistic was to find the balance between human and ape actions, while keeping her primarily ape-like. 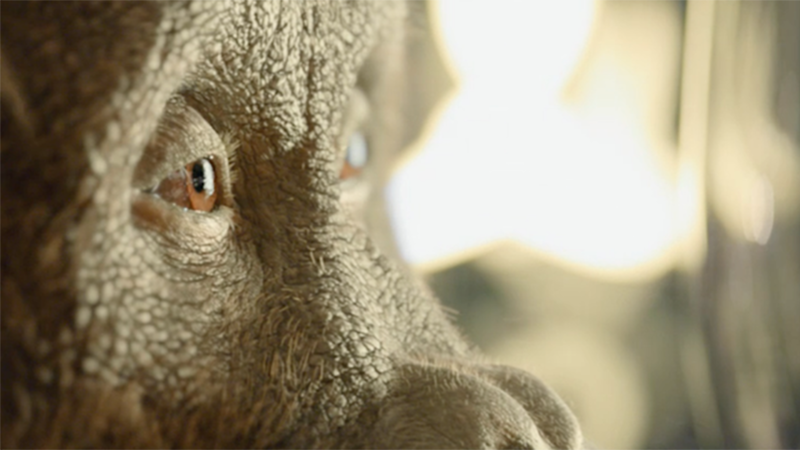 The chimp model and textures were sculpted and painted at a much higher detail than previous Mill created chimps. Since a chimp's skin is inherently wrinkly, the team created a system so that when the updated skin stretched, the wrinkles flattened out, and when it compressed the wrinkles increased or changed direction.... go ahead...try it on your own hand. Through the use of multiple vector displacement maps, our newly developed in-house MillHair and MillSkin Arnold shaders were used for increased realism and reduced render times for the commercial's schedule. For the skydiving sequence, the DOP shot plates of the sky and horizon out of a helicopter and then The Mill dropped the chimpanzee. When Joni took the big plunge, we were not able to capture the environment up in the sky for the free-fall shots, so we needed to create an HDR from scratch. Using plates director Hamish Rothwell shot, The Mill’s Nuke team was able to stitch together a full 360-degree sky environment and then add back in the bright sun and haze. The lighting artists used it to accurately light Joni and keep a close integration between the sky environment and 3D renders. Layers of clouds were also composited in front and behind Joni to help create the falling effect and integration. 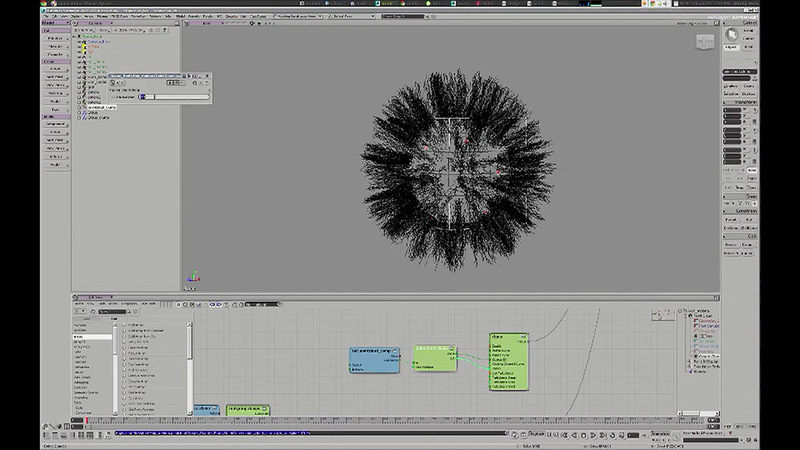 Using a newly developed set of tools in Softimage XSI, the FX artists added wind dynamics to the hair. 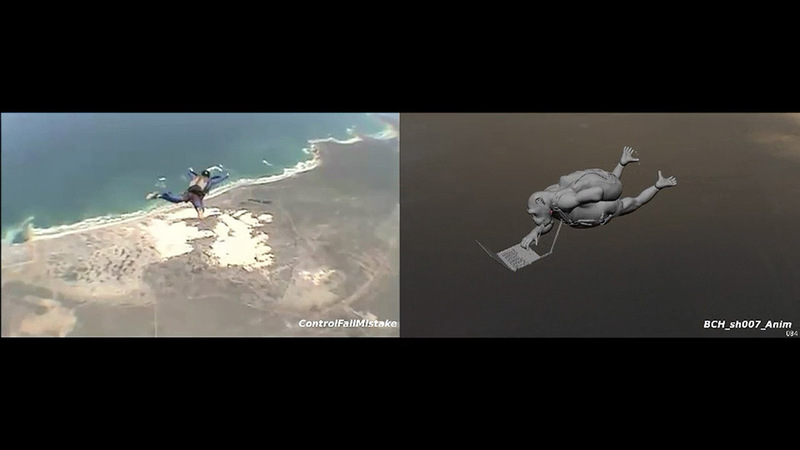 The simulation was challenging due to the sheer number of hairs that collide with the skin and backpack for the big jump. Each hair was individually simulated when the aircraft door opens and the wind blows Joni's hair back. Several modifiers were added to create the unique appearance of chimp fur such as clumping, kink and frizz. As a finishing touch, a smattering of dandruff particles were added in the hair for the close-up. 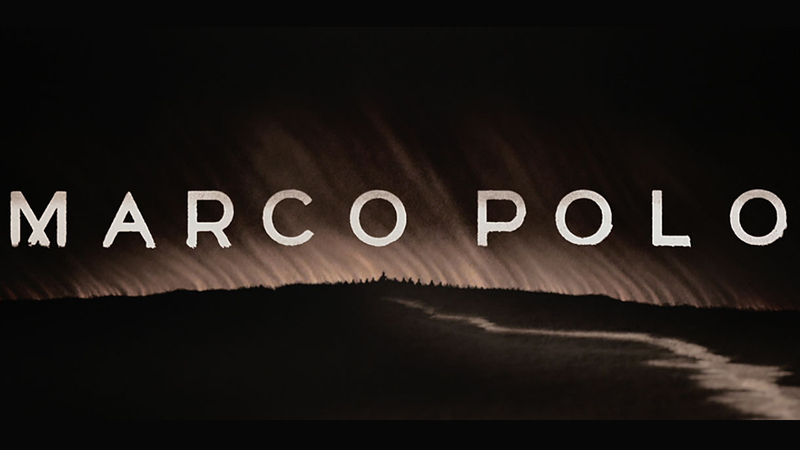 The team even added wind ripples across the surface of the skin as she was falling. For the landing sequence, precision parachute jumpers were flown to around 2,000 feet and it challenged to land in a convertible Mini Cooper (the one that Joni drives off in the final shot). 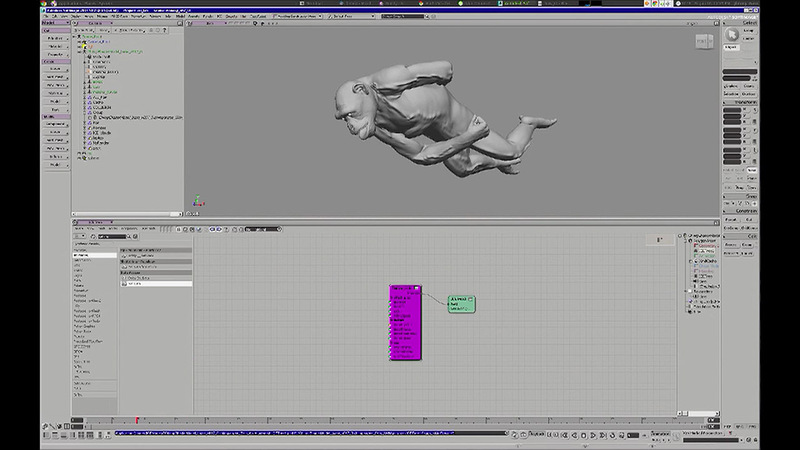 Joni's safe landing was animated by recreating the movement reference of the skydivers landing in frame, parachute and all. The grateful Joni drifts softly into her Mini Cooper, after successfully completing the Bingle car insurance quote. 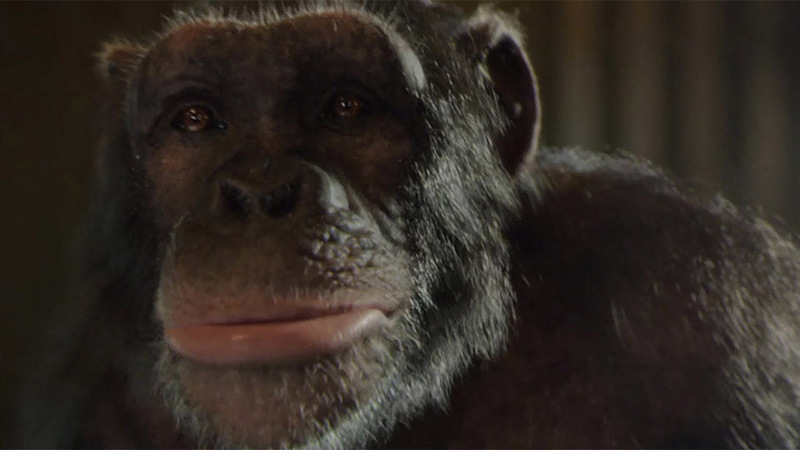 The Mill's CG artists animated a completely believable, 100% CG chimp that had personality and stood up to the detailed scrutiny of the CG camera.